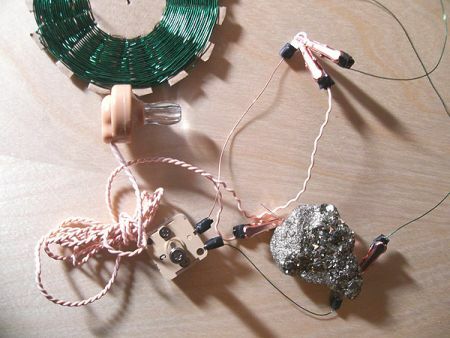 About 10 years ago sound artist Sawako Kato attended an exhibition of Kenji Kobayashi‘s work, which included a crystal radio piece. 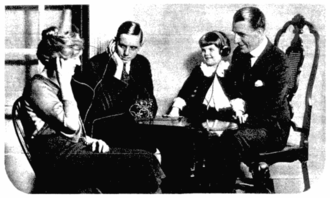 The seeds were planted for Sawako’s subsequent experiments with this most reductive, primitive form of capturing and broadcasting radio signals. 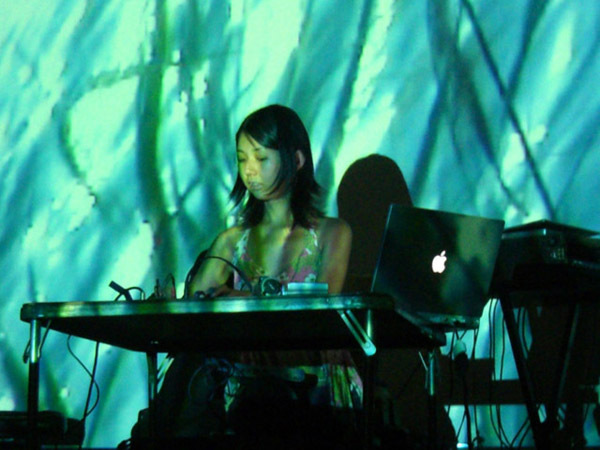 Following years of digital sound-making, acquiring a Masters in Interactive Telecommunications, and releasing sweet pop music, Sawako has returned to the possibilities of the cat’s whisker radio. Strolling through Brooklyn and a desolate-sounding Coney Island with the improbably delicate crystal antennae snagging the fleet detritus of invisible voices and environments, Sawako has produced nine minutes of soundtrack music from the Bardo. Both her instrument and her sensibility on Brand New Fossil are focused on reduction to the essentials. Though the means of capturing the swirling, ambiguous human voices and location sounds are available to a child, Brand New Fossil is, happily, music without treacle or a sodden nostalgia. Instead, Sawako has distilled the invisible detritus of cities into a concise diary entry that offers, like poet Ferlinghetti’s antithetically sprawling improvisation, A Coney Island of the Mind, the sounds of the sensorium of the observer. You can hear, through the tiny stone and filament Sawako bears through the Brooklyn landscapes, the activity that is occurring endlessly around us; Sawako tunes in and tosses off seconds of this whorling activity with great editorial control. Also akin to Ferlinghetti’s epic work is the sense of sensuality woven from raw sensory input- the three minute miniature, radio stone [Brand New Fossil’s nine minutes is sequenced as four discrete tracks], has the luxurious sheen of a tonal, floating drone. But listen closer-that lovely wave actually consists of radio captures, traffic and whatever else was flying through the Brooklyn air the day Sawako walked with her antennae aloft and alert to the voices of the city. There is more that can be said about Sawako’s ability to reconcile the duality of location-specific sounds with a sense of their universality [I have never been to these locations, and this record evokes real nostalgia in me, quite possibly as I am old enough to recall the intimacy of the indistinct radio signals transmitted here]; or how she overcame my skepticism that nine minutes of any work could hold my interest through as many listens as I have given these ghost transmissions. Brand New Fossil is, as far as I could determine, Sawako’s first proper release of the music of crystals, following by some distance 2007’s performance of ishi-listening stone at the New York venue Roulette. She has taken her time, and these nine beguiling minutes justify the wait. This is beautiful work, beautifully presented. Ben Owen‘s blue vinyl. two-colored letterpress edition will inspire fetishism in the most resolute, resistant-to-the-charms-of-the-packaging skeptic. I have no way of knowing if the line from Ferlinghetti atop this page is a map over the lives heard, in their brevity, in Brand New Fossil. What captured my attention in the poet’s Coney Island was- we seem to see/the people of the world…; you will experience this sense of the fleet glimpse of place and people, if you sit long enough with Sawako’s ephemera. This entry was posted in music writing on February 13, 2011 by jessewgoin.